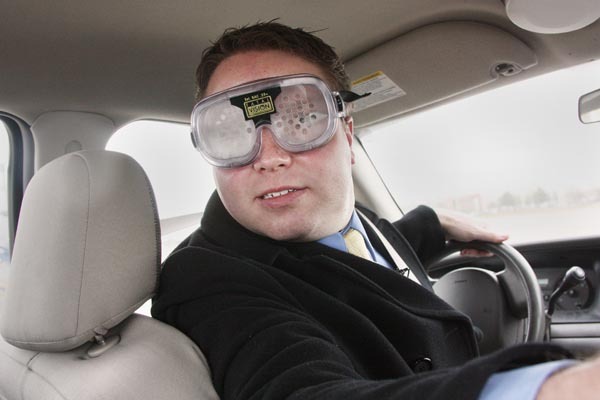 A driver wears vision impairment goggles while trying to navigate a car through an Idaho State Police closed track as part of a highway safety impaired-driving demonstration. The Idaho Transportation Department helps provide funds to purchase educational tools for law enforcement agencies to use with community outreach efforts. 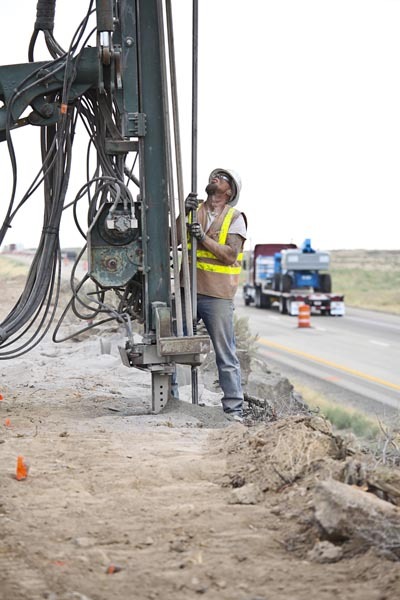 This is a long shot of an explosives driller prepping for rock blasting on Interstate 84 near Boise. 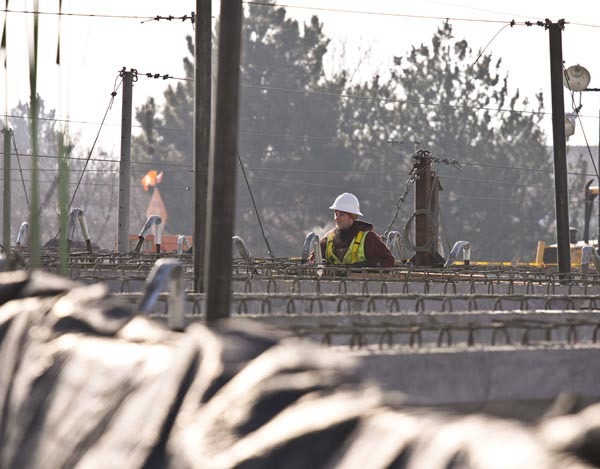 A lone worker stands amid girders during overpass construction in Boise, Idaho. 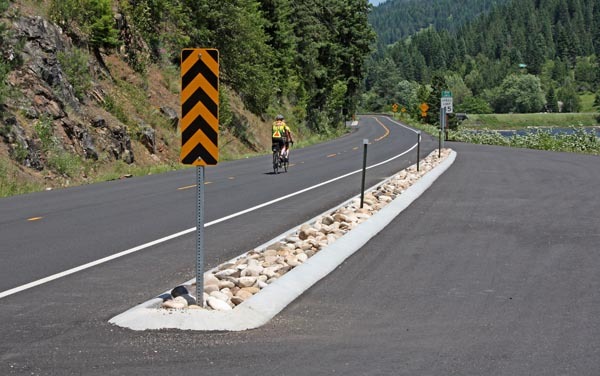 The Idaho Transportation Department saved a pocketful of money – $8,000 – by practicing the Do It Yourself principle. 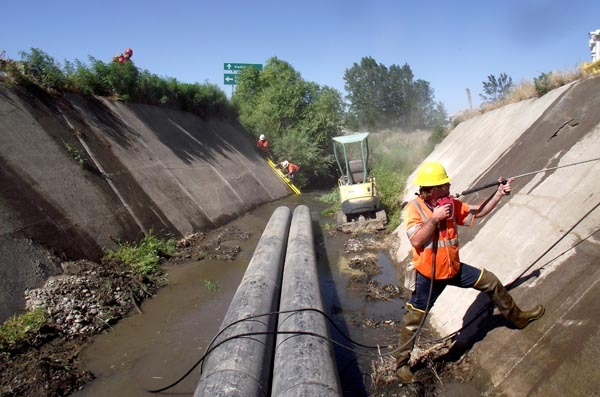 A bid to clean, power-wash and seal joints was not in the budget, so over the course of two days in early July, ITD crews did it themselves. Close-up of an explosives expert just after heavy drilling in preparation for rock blasting. The road less traveled is not always paved. 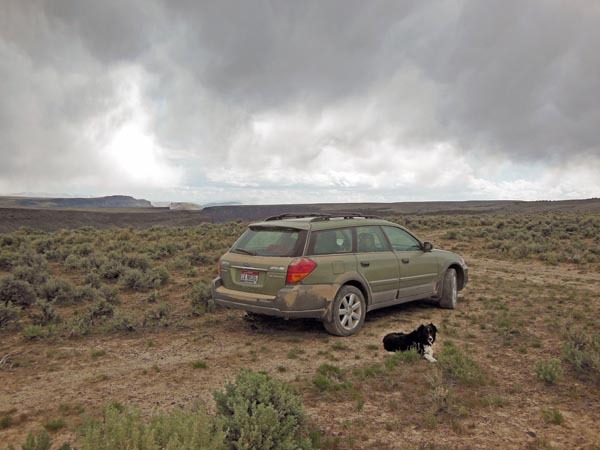 Tess takes a break from a backcountry ride through the high desert in Idaho’s Owyhee county. Bicycle riders enjoy the scenic solitude of U.S. 12 as it winds along the Lochsa River, about 120 miles east of Lewiston, Idaho.